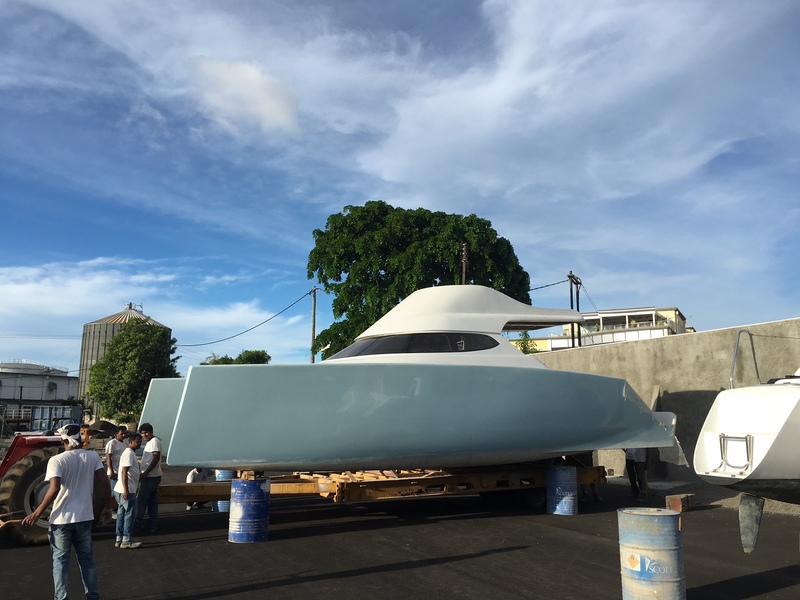 The Taylor Smith Boatyard offers professional expertise from the very inception of the design to the delivery of the finished yachts. 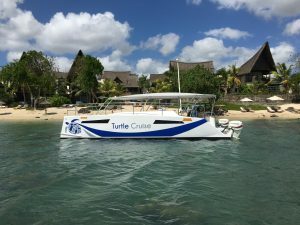 In 2012 the Taylor Smith team set out with a mission, to design a vessel that would be efficient to run, easy to maintain and most importantly able to access the shallow lagoons of Mauritius. allow it to get up onto a plane at higher speeds. 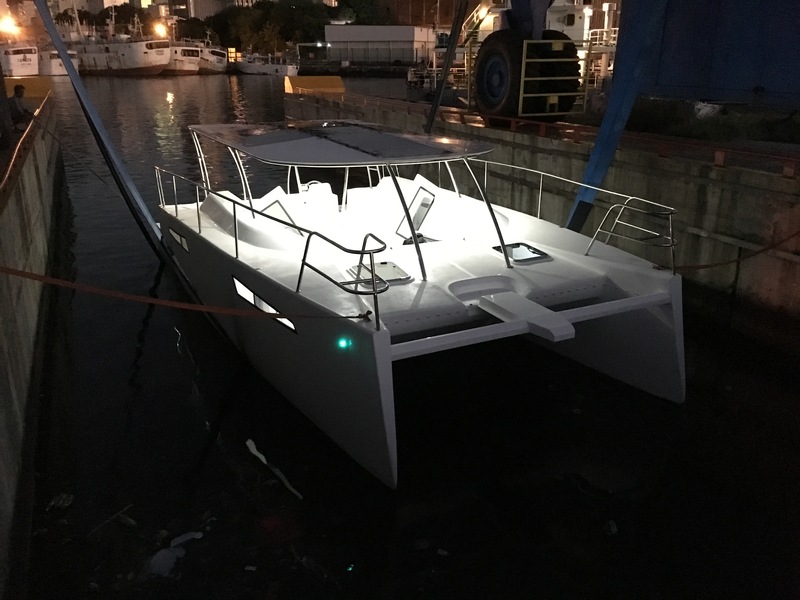 With this goal in mind we have managed to develop a new concept of semi-displacement hull design which performs like no other, in addition we have incorporated a tunnel hull system which allows you to enter into shallow waters without the risk of hitting your running gear. 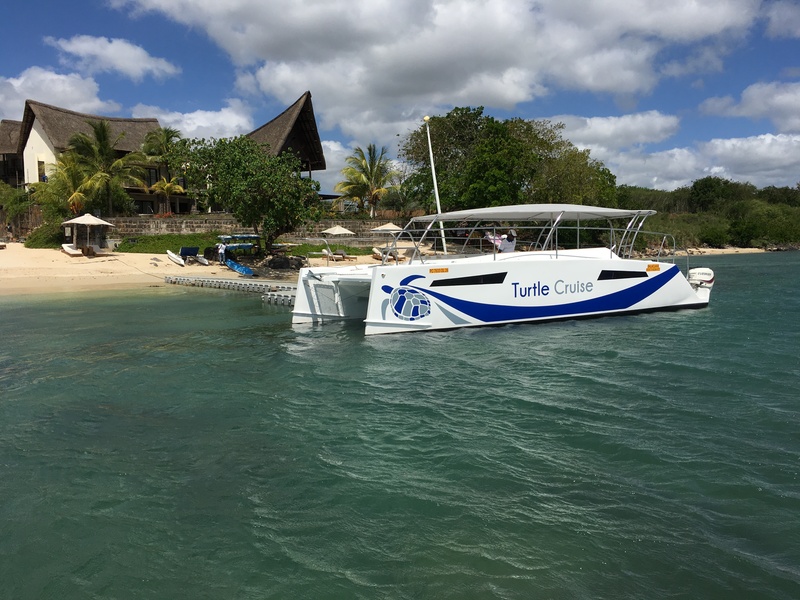 The R330 can be powered with outboards motors ranging from twin 80hp up till twin 115hp, we also now offer a hybrid electric option which is an excellent solution for charter operators in terms of running costs and being eco-friendlier. 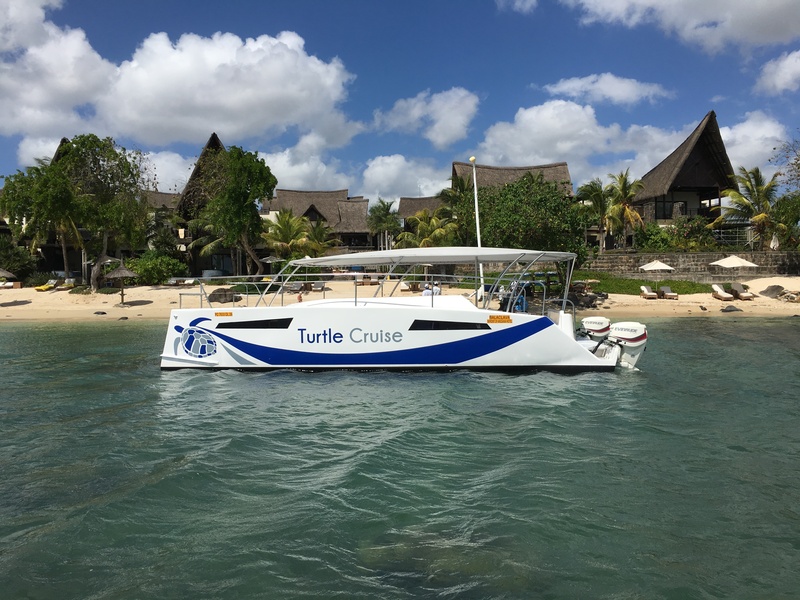 Our DC version offers large seating areas up to 27pax, dual head units, large galley and easy to maintain surfaces. Our vessels are fully customizable to cater to many needs, from day ferry services to exclusive luxury charter. 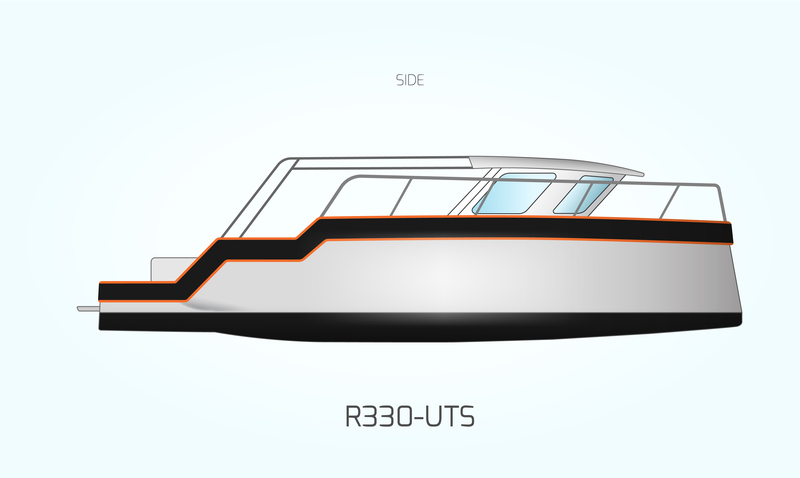 The R330 owner’s version is a sleek sporty looking vessel with a full cabin top and fly bridge, she can be kitted out for sport fishing or sipping sundowners in a tranquil lagoon. 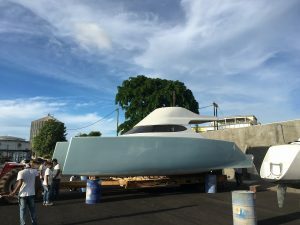 She offers a spacious saloon, a galley up, a large heads and 3 double cabins. 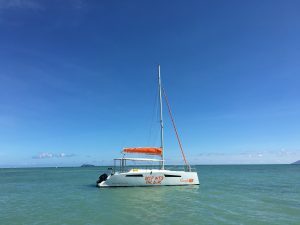 We have also recently launched the R330 Sail version, which is ideal for smaller groups of exclusive charter clients, she is rigged with a forward helm station and a self-tacking jib which makes it more convenient and safer for guests onboard. Our newly launched R330 Solar Electric Version was launched at the beginning of 2016, she is propelled by twin 8Kw inboard electric motors powered by a lithium ion battery bank. 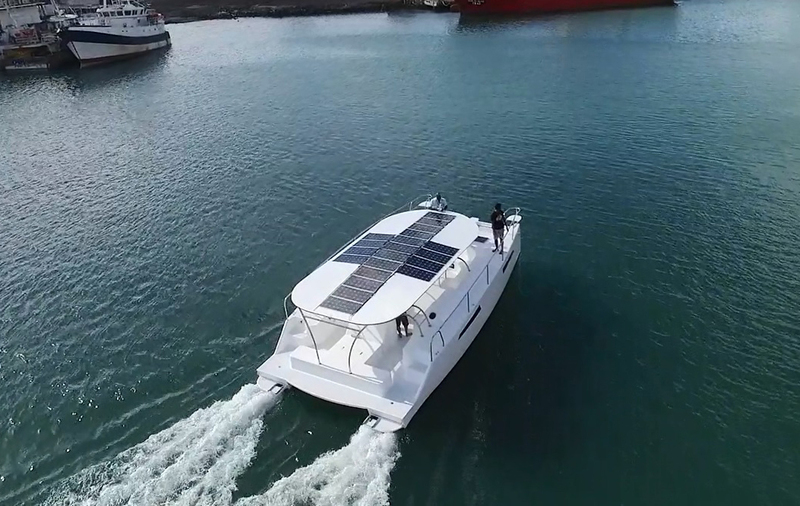 Recharging is made possible by a 2Kw solar array and a backup diesel generator for overcast and low light conditions. 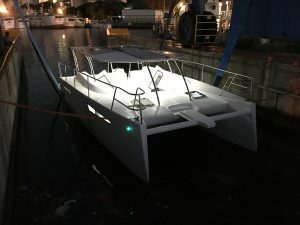 She powers along comfortably at 7knots utilizing only 6.5Kw. 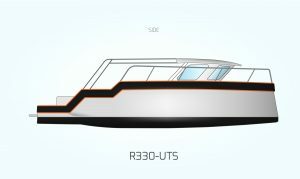 Still in its concept stage the R330 Utility is aimed at serving the diving and passenger ferry sectors. 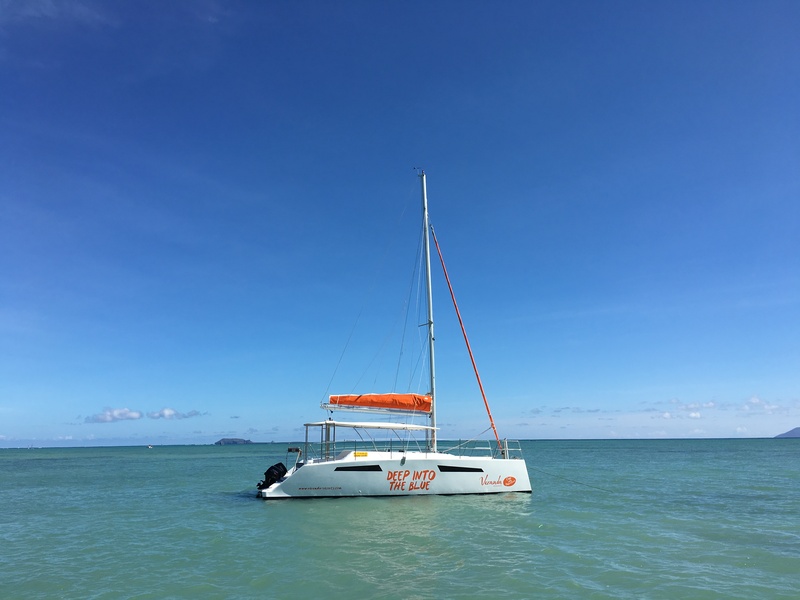 The ideal sailing charter boat, the R452 offers beamy hulls and a large bridge deck, ideal for carrying passengers on day charter excursions, she offer great seakeeping capabilities and cruises along at a respectable 12knots.